As part of the centenary celebrations a new book is being published. Authored by well known transport writer Roger Davies the book reviews many aspects of the company and provides a flavour of “The Mighty Ribble”. The book is profusely illustrated with photographs which have not been published previously. 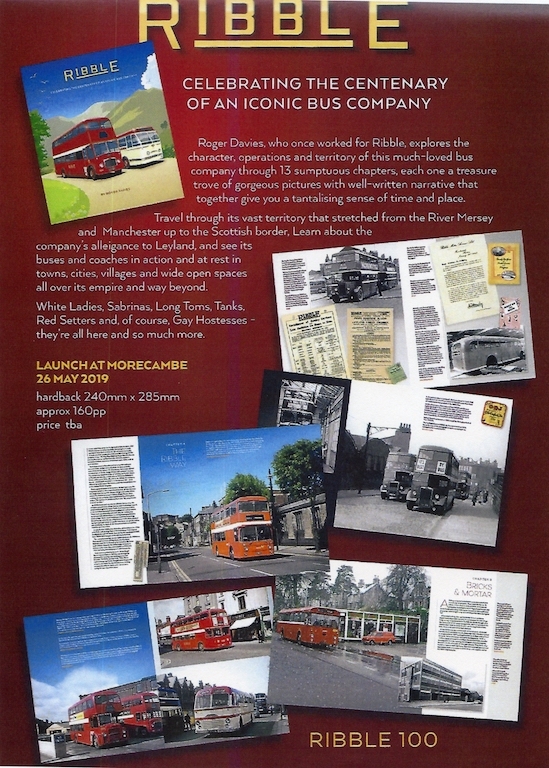 Design and publishing is by Ray Stenning of Classic Bus and Best Impressions which ensurers it will look superb. It is intended to publish in late Spring and copies will be available at our Morecambe event on May 26th. Meanwhile here’s the ‘flyer’.